This season Weleda will be sponsoring London-based fashion designer Paula Knorr who will reveal her Spring/Summer collection on 15 September. Paula has been chosen to open London Fashion Week, and kicks off the exciting schedule of catwalk shows in the British Fashion Council show space at 9am. Weleda’s NATRUE-certified body care will feature in exclusive VIP gift bags for the fashionistas attending Paula’s show. The bags will include a selection of Weleda wonders to keep guests looking and feeling great through the busy show schedule, including the Pomegranate Nail Care Pen, Pomegranate Regenerating Hand Cream, Pomegranate Creamy Body Wash and Berry Red Tinted Lip Balm, to compliment the predominant red and white in Paula’s soon-to-be revealed collection. “I grew up in Germany and both my mum and my grandma used Weleda products. Weleda, with the brand’s holistic and natural approach to beauty, is the perfect partner to my idea of individual and unique beauty." A graduate of the Royal College of Art, and one of London’s emerging talents, Paula incorporates painterly digital prints in her designs. Her top billing as the opening show for London Fashion Week reveals just how dynamic her work is thought to be in the British fashion industry. For SS18, garments have been deconstructed and reconstructed to create a Spring/Summer collection full of strong drapes and soft textures - contrasting bold block colours such as fresh white, scarlet and midnight blue, with patterned prints or softer shades of dusky pink and shimmery metallics. Backstage, make-up designer Martina Lattanzi and her team will be working exclusively with Weleda skincare to prep the 25 models for a dewy ‘barely there’ make-up look. Originally from Italy, Martina has built a reputation as a top Fashion Week make-up artist since she moved from Milan to London in 2012, and will be using her favourite Weleda lotions, creams and oils to create a fresh and minimalist look. Martina has produced a little video showing how she created her Paula Knorr ‘barely there’ makeup look using Weleda skincare. 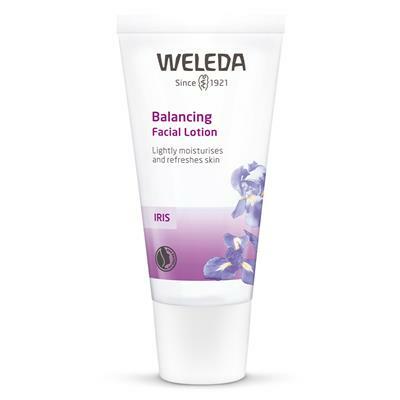 “I've found in Weleda the perfect blend of natural ingredients to create a flawless, radiant look. This range works very well on tired and sensitive skin, which is a concern for many models during Fashion Week. To start the look I’ll be using Weleda’s facial brush to brighten and freshen skin, before a light massage with a little bit of Almond Soothing Facial Cream mixed with a few drops of the Almond Facial Oil. The oil - absolutely one of my favorites - is a perfect multi-purpose product, and can also be used as a make-up remover. We’re excited to be previewing two new Weleda Beauty Balms, which will be launching in 2018. These are sheer, tinted creams for a subtle ‘sun kissed’ look. They even out skin tone without the full coverage of a foundation, so skin remains fresh and luminous – perfect for spring when we’re often feeling a bit pale and pasty! 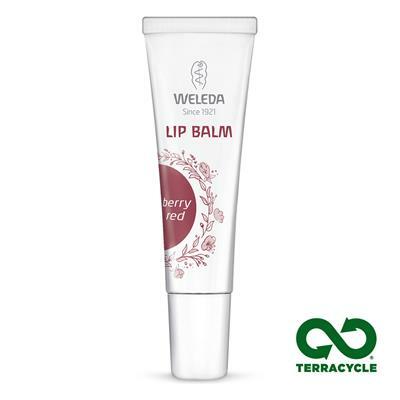 Weleda Tinted Lip Balm, in Rose or Berry Red, lends a gentle, coloured sheen to the lips without the stickiness of a gloss. 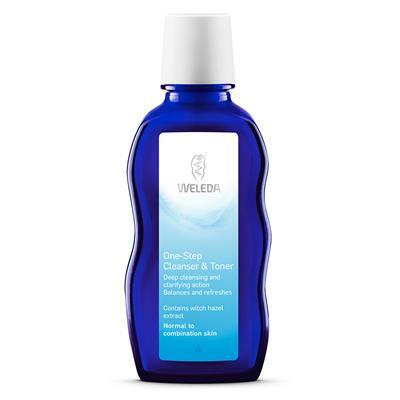 To complete the look, Weleda Skin Food is patted onto the skin for a luminous sheen on cheek bones and brow bones, and finally in the model line up I add a last minute dab of Calendula Weather Protection Cream to the centre of the eyelid as a natural highlighter, to add shine for my ultimate dewy look”.